At Ardtaraig, we believe that presentation is very important to our customers, especially when most of you love to send our products as gifts. Our distinctive packaging underlines the quality of the product within. Utilising our trademark company logo, our product packaging is of a far higher quality than most, but at Ardtaraig, we believe it's worth it. Many of our customers send our products to family members and friends again and again as gifts. It is always so well recieved and we continually recieve many compliments about how presentable it is. Something that is not easy to achieve. 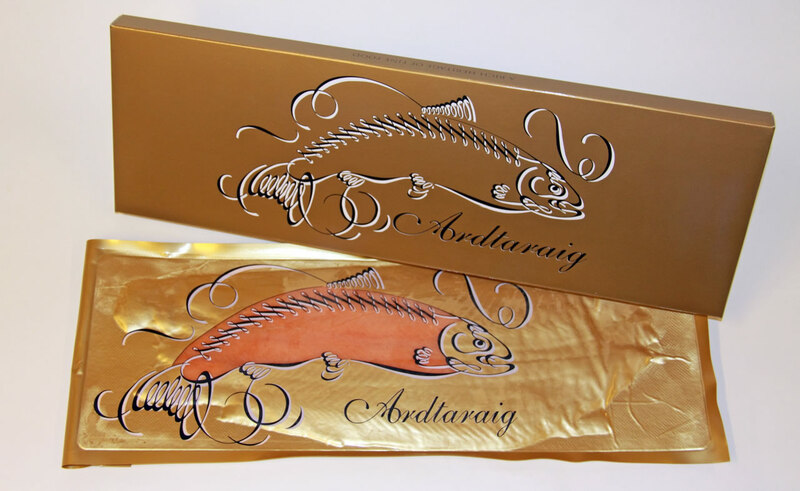 Also uniquely amongst our competitors, we offer the option to present our sides of Salmon in a beautiful gold gift box as pictured below. We do this for our customers to add to the gift experience at a very small cost. This is something that many of our customers take up and all our our corporate clients love. While our products are winging their way across the UK and Europe we have to ensure that our product arrives at its destination in perfect condition. 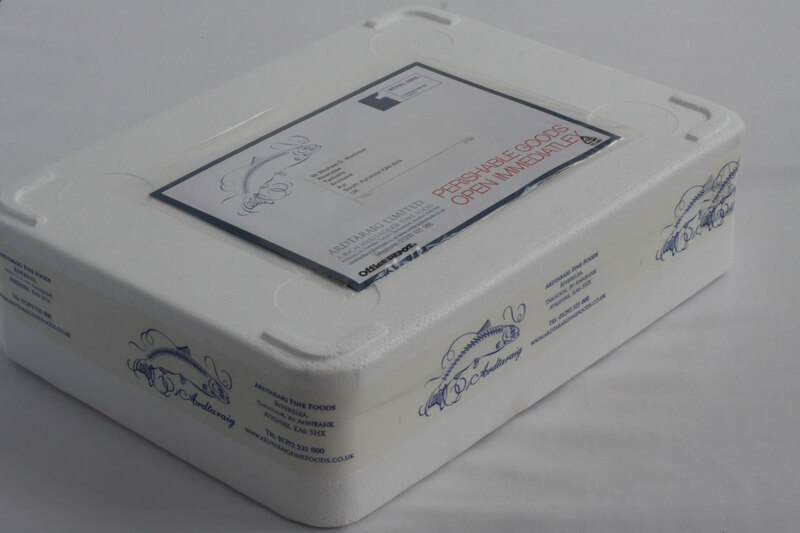 To this end we utilise extremely strong and thermally efficient polystyrene packaging for our sides and insulated envelopes for our smaller packs. This ensures that our products travel in optimum temperature controlled conditions for the duration of their transit time. Our ranges of Hampers and gift boxes are no different. Whether it is one of our Green Gift box range or one of our Wicker hampers, all of our products are packaged with care and attention and to withstand the journeys that they go on to your door.